I completed this some years ago and remember it was a real squeeze getting everything in including the full depth wheel bays. 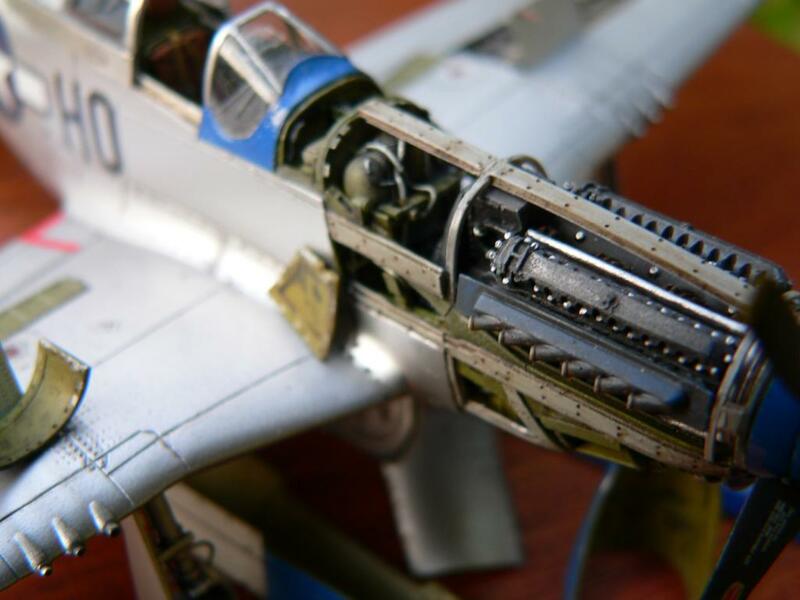 19 responses to 72nd scale Tamiya P51 D with Aries detail set. Man that is great work there. Love all that detail. Marvelous Mustang! Damn, that is a lot to cram into one small plane. But you have done it very well. Thanks guys for your comments. The plastic was thinned so much Simon that the liquid cement I was using melted part of the fuselage, oops! I can believe that Robert. I can see why people moan about the fit of A/M parts , especially internals. Most resin stuff is made to exact measurements not taking into account the thickness of the walls etc. 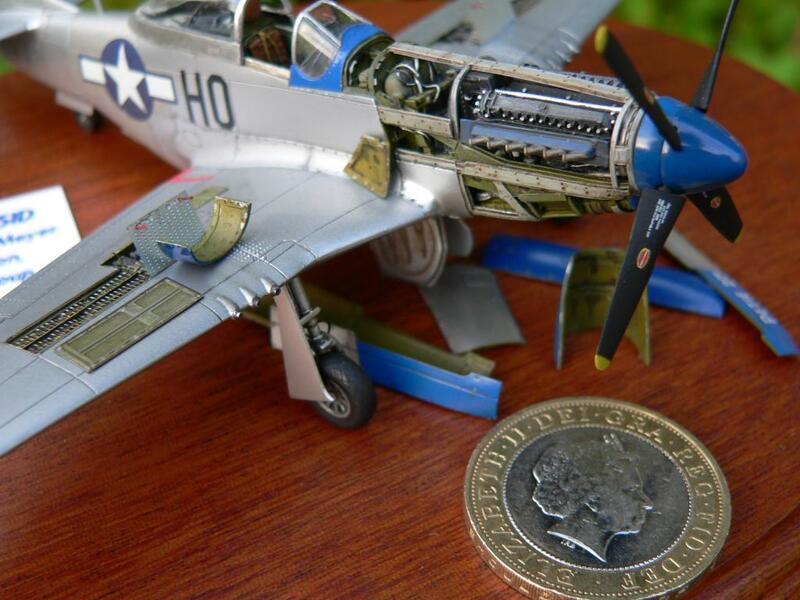 Amazing feat to puzzle all that resin into a model, especially in that scale, and get it to look that good. Having accomplished this once, will you do it again? I find myself using less resin aftermarket these days. Beautifully done Robert. Who says you can’t detail 1/72nd kits. You have showed otherwise. Amazing craftsmanship, Robert. You must have the eyes of an eagle, the hand of Da Vinci and the patience of Job. At first glance, I thought it was a 1:32 scale Mustang ! Thanks for the comments. Yes I would do it again Jack fiddly as it was to do I enjoyed it, perhaps I need to get out more. 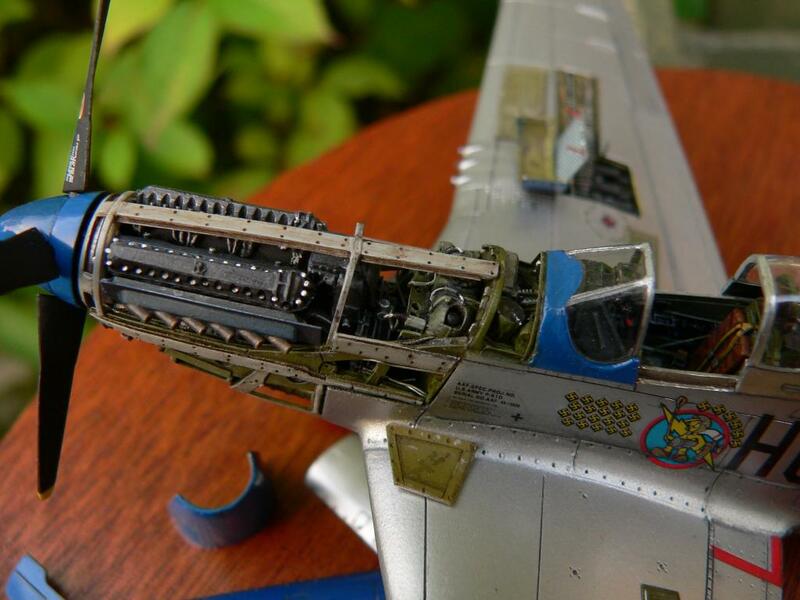 Nice clean build, great detail in 1:72. Truly amazing! You did a great job to fit all of that inside 1/72 scale. Hi Robert. I have to echo the compliments of other people as well. The detail looks great and I didn’t realize at first that it was 1/72 scale. Even more impressive! Some really strong eye popping work for something so small. My only niggle is that I can’t see the model up close and personal and two, more photo’s please. Another excellent model. I agree you have to have the eyes of a hawk. Superb. 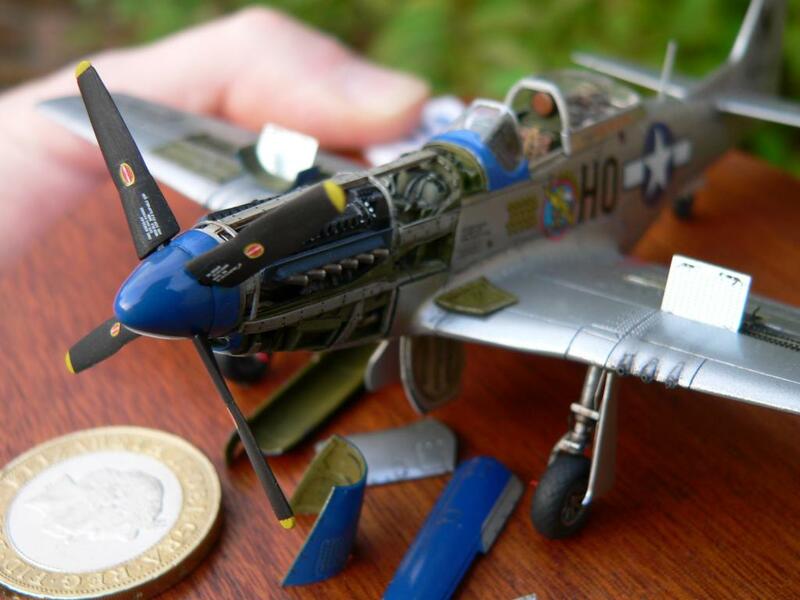 Awesome detail for 1/72! Love those Bluenosers! My father flew Col. Meyer’s wing in late ’44 and ended with 5 victories air and 1 ground including 4 in one battle on 1-1-45. Wow thanks everyone for the positive comments, I’m overwhelmed. Yeah guy, should have put up more pitchers, mighta got yourself model of the month with that one. 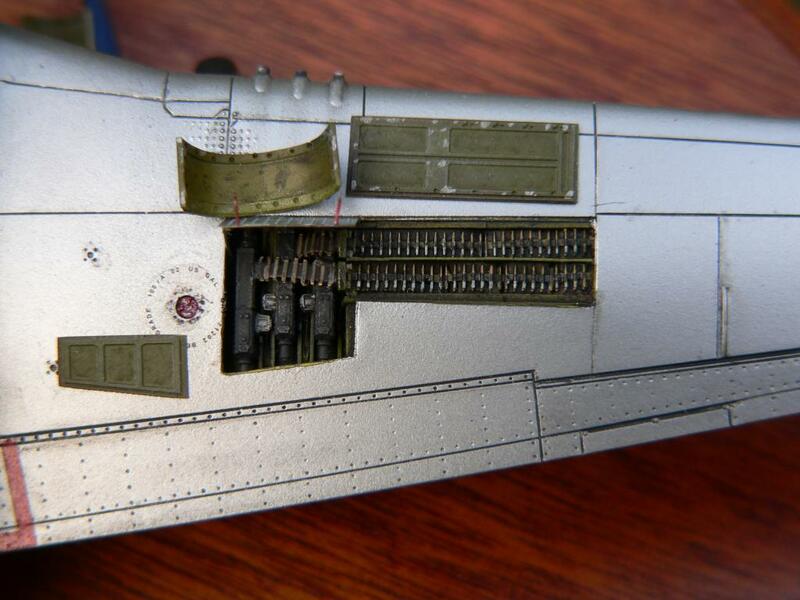 So much detail, and in 1/72, good job, Robert.